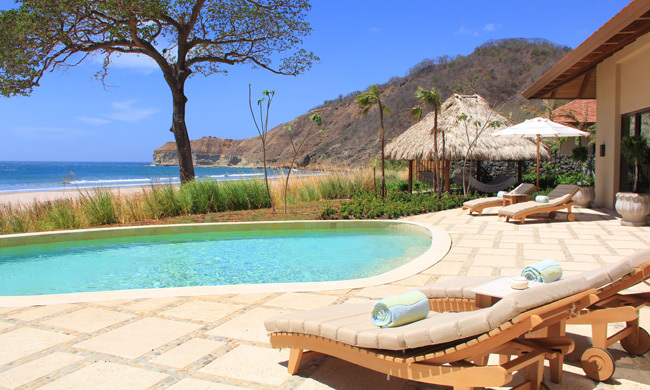 Mukul Resort is a luxury boutique hotel and spa in Guacalito de la Isla, a new $250-million, 1,670-acre low-density private beach community on Nicaragua’s Emerald Coast. Mukul – “mukul” is the Mayan word for “secret” – features 39 spacious accommodations, each with an ocean view, pool and private staff. 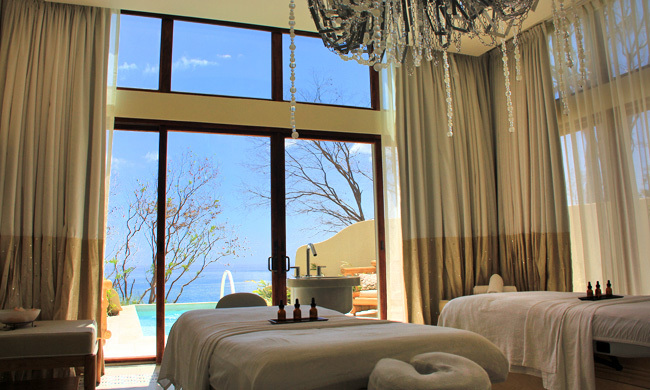 Other resort amenities include Spa Mukul, with six private spa-treatment casitas; a beach club featuring dining and lounge areas and a swimming pool; and the 18-hole Guacalito Golf Course. Guests will enjoy access to the property’s four miles of white-sand beach and rugged coastline, and 12 kilometers of nature trails on which they can hike or bike to observe the four species of monkeys and other wildlife that reside in the lush coastal forest. 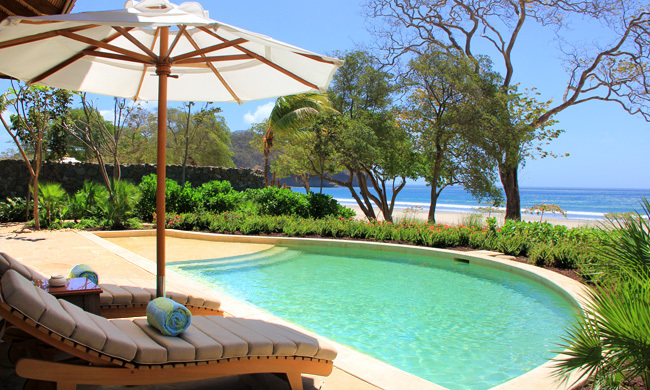 Mukul was designed as a luxurious yet unpretentious and relaxed private estate by the ocean, with 39 accommodations designed in a style that combines modern elegance with traditional Nicaraguan roots to create a distinct sense of place. 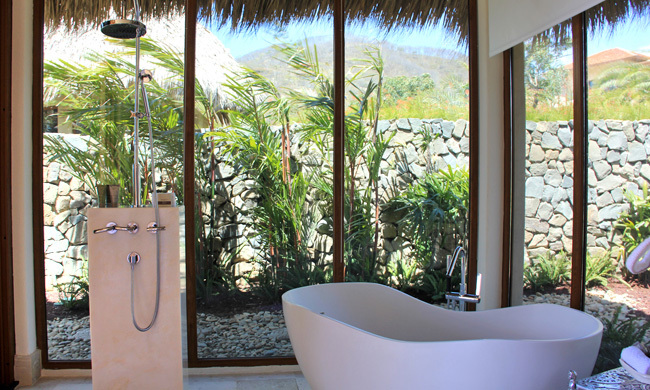 16 one- and two-bedroom Beach Villas face the gently rolling surf of Playa Manzanillo. With stone walls and gardens separating them, the white-stucco, red-tile-roofed Beach Villas exude the ambiance of private vacation homes. Mukul’s “carefree luxury” philosophy is embodied by each Beach Villa’s spacious “barefoot chic” indoor-outdoor setting, complete with swimming pool, wrap-around deck, outdoor-lounging palapa and secret garden with an outdoor shower. 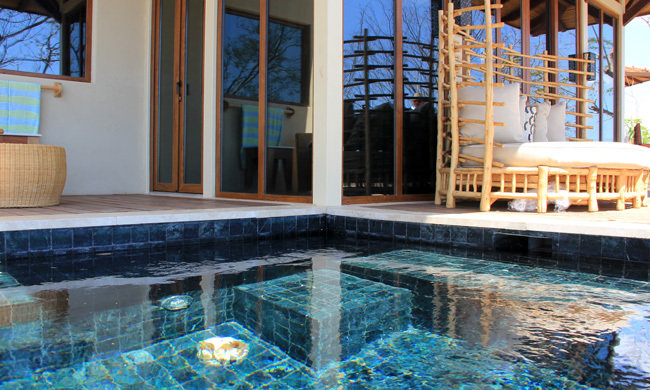 The two-bedroom villas are family compounds with their own private show kitchen, pantry and living room. 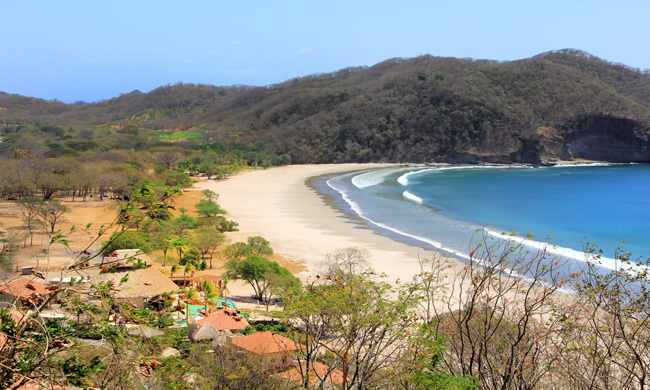 Like tree houses nestled in the lush canopy, Mukul’s 23 Bohios perch dramatically on a steep hillside 300 feet above Playa Manzanillo, offering breathtaking ocean views all the way to the horizon. Built of sustainable native teak and pine, each of the 621 square-foot cliff houses features high ceilings and a wall of glass that opens onto a sweeping wooden deck with a private plunge pool. The open-air Mukul Beach Club is the heart of Mukul, a gathering place where guests can enjoy snacks by the pool, cocktails, and lunch and dinner either in the palapa-shaded Beach Terrace, the barefoot-dining Parrilla, or Mukul Restaurant. 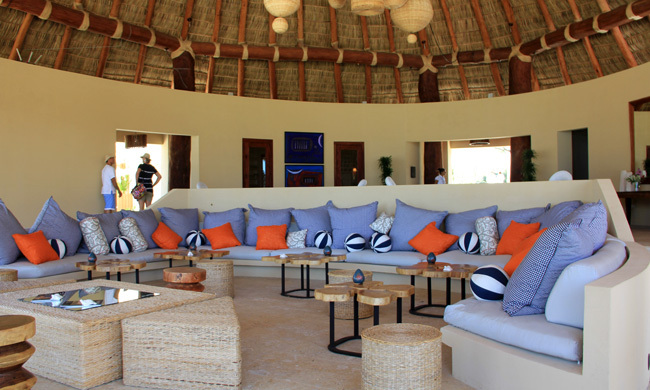 The Mukul Beach Club also has a separate area for children. The Mukul Kids Club features a shallow pool, playground and activities specially geared to different age groups. Trained nannies are onsite to supervise the kids. The 18 hole, par 72 course golf course was designed by golf architect David McLay Kidd to embrace and preserve the natural landscape of lush tropical forest and ocean bluffs. 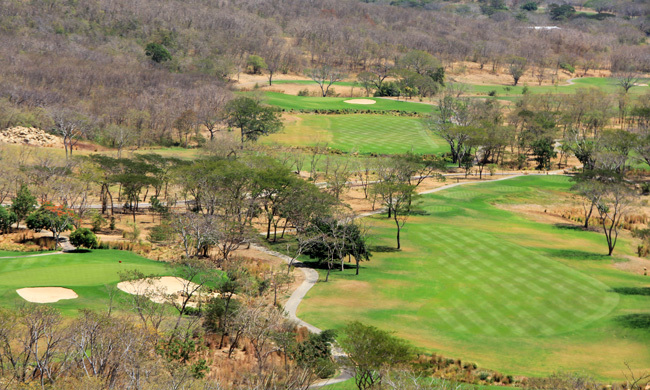 Guacalito Golf Course features an expansive practice range, a state-of-the-art pro shop and a Golf Academy where golfers can fine tune their skills. The Guacalito Golf Course will also offer SNAG Golf training games for children. 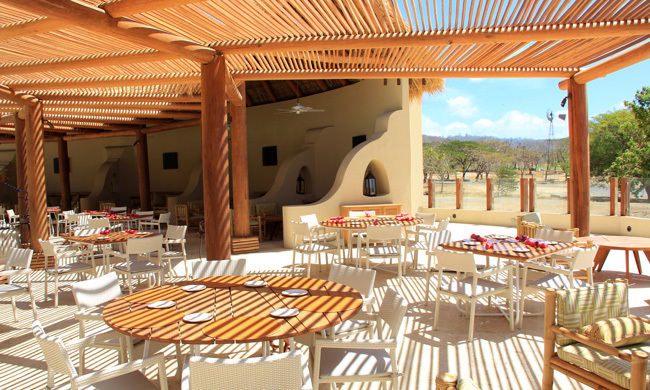 Golfers will enjoy delicious food and Nicaragua’s famous cigars and Flor de Caña rum at the Guacalito Golf Course Club House. 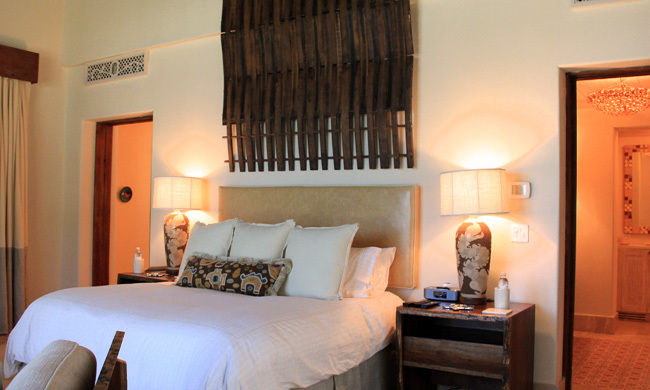 Rates at Mukul include breakfast, lunch, domestic premium open bar during the day and optional private ground transportation to/from Managua International Airport.